Who would’ve guessed that one wild glance can be totally hazardous? 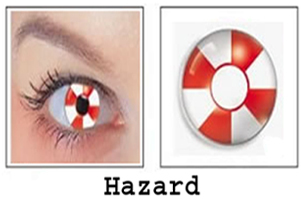 With a wild hazard sign, there is no mistaking the peril and danger in your eyes. Get your pair of Wild Hazard (formerly called Nuclear) lenses now only at cococontacts.com.